We never give up on ferals. At any one time 50% + of our cats in care, are "ferals" in rehab. And Trumpton is coming on leaps and bounds too! Look at him! Isn't he just gorgeous! They have a long way to go yet, but, they ARE getting there, they really are! And we will never give up on them! 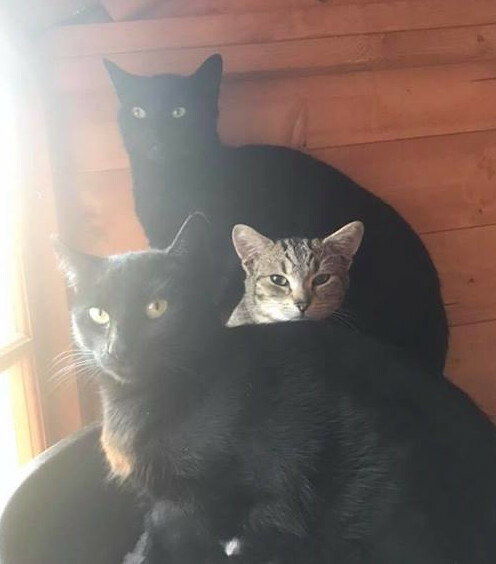 The second lot of "railway children" into care; Chigly, Trumpton and Mummy cat Summer.... All VERY feral to start and all under rehabilitation. All three arrived in July 2018. This Christmas (2018) has seen Chigly make huge progress, and accept touch and strokes and even purrs! And Mummy cat this week, somewhat accepting touch. They've a little way to go, but we WILL get there! Hopefully home ready before the summer! Summer, Chigley and Trumpton... our works in progress and doing so well! For now, very content, and happy and getting braver by the day! Well, we are 4 months in, and we are making great progress! When first in, I was optimistic for a ready to home come Christmas, we MAY still be there, if the right home comes along, but if not, I'm more towards Easter now! BUT we WILL get there! The Babies, and Mum are doing so well. Last month they have been moved from their initial home pen, to a pen far more "domesticated" and have settled beautifully. Chigly has accepted strokes the last month, and just this week, Trumpton (Tabby) comes down DURING feed times to eat whilst I'm still at the bowls. For now, loved, cherished, in a heated pen, lots of company, absolutely relaxed, enjoying outside areas, we love them so very much. All three have now of course been neutered and chipped, vet checked, a good few months ago. A little while longer my darlings... and you'll be ready to go "home".... it will have to be an extra special understanding home, but it will be home. A little update for you, on Mum Cat, Summer, and her babies, Trumpton and Chigley. Trumpton was the only one to brave the trap (for a second time!) last week, and as you know, went off for his neuter and chip.... and has recovered so well and back to his normal, cheeky self. 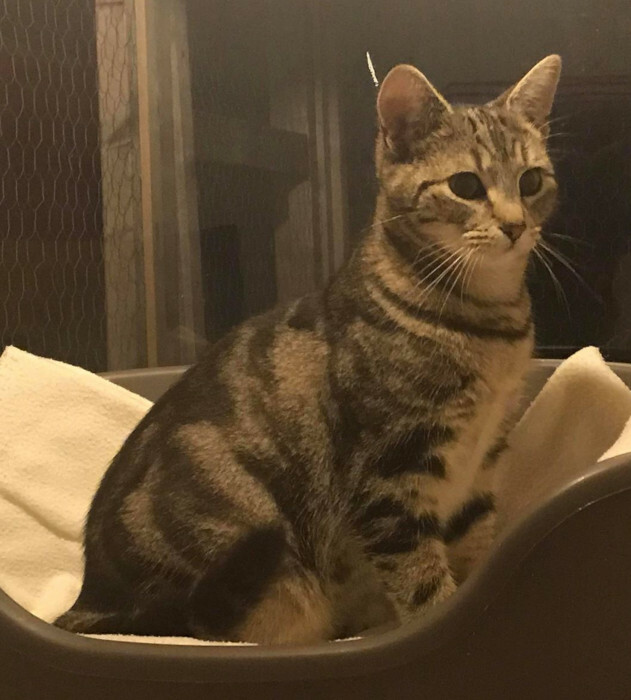 This morning, we had ONE space booked at the vets, to get either Mum, Summer, OR Chigley in the traps and off for their neuter and chip..
20 minutes later, we checked, and Mum cat, Summer, was in!!! Yay!!!! So, so pleased! As we saw this... Naughty Trumpton, (neutered last week) strolled into the other trap, sensing the tasty Tuna... No! and before we could blink, not only was Trumpton, ONCE AGAIN in a trap, but Chigly had followed him by tail and was ALSO in the trap! !